This Square Hay Rack is an object for decoration with two functions. This Square Hay Rack was last saved with the Giants Editor 6.0.3. The UPK (UniversalProcessKit) is required for full functionality. The Hay Rack support only round bales, not square bales. 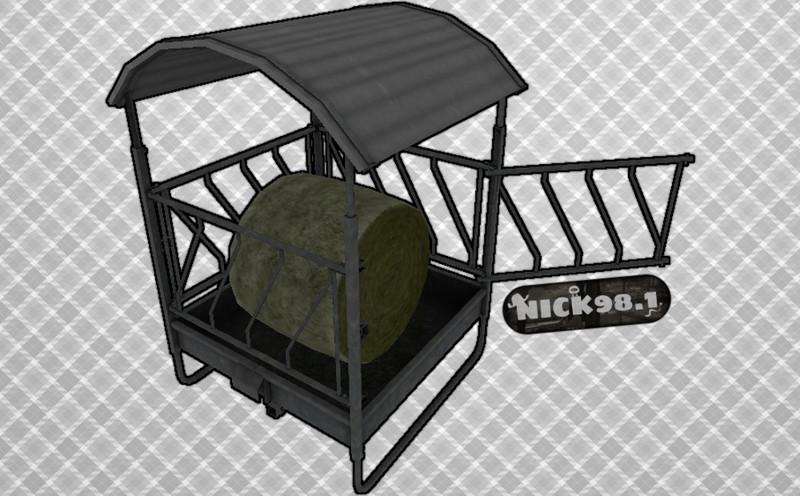 Modell, Textur und Weiteres stammen von Nick98.1. Diese Modifikation verwendet das UPK (UniversalProcessKit) von mor2000. Model, texture and More are from Nick98.1. This modification uses the UPK (UniversalProcessKit) by mor2000.